When it comes to dressing up any dish with amazing flavor – who needs salt when you have salsa? I have to admit though, it's something I'm addicted to and typically drown my dishes in, whether it's chili rellenos or tamales topped with eggs over easy and avocado to a simple chicken and rice dish, one will usually find my meal floating in a sea of salsa! And while I'm not advocating you try this extreme form of garnishment, because I do believe in the slogan "less is more" and any chef worth their weight in "salsa" will advocate for the same, let the seasoning compliment the entrée, not compete with it – I thought I'd share with you some local places where you can purchase the best salsa around – and embellish your meals with it at your own comfortable level! 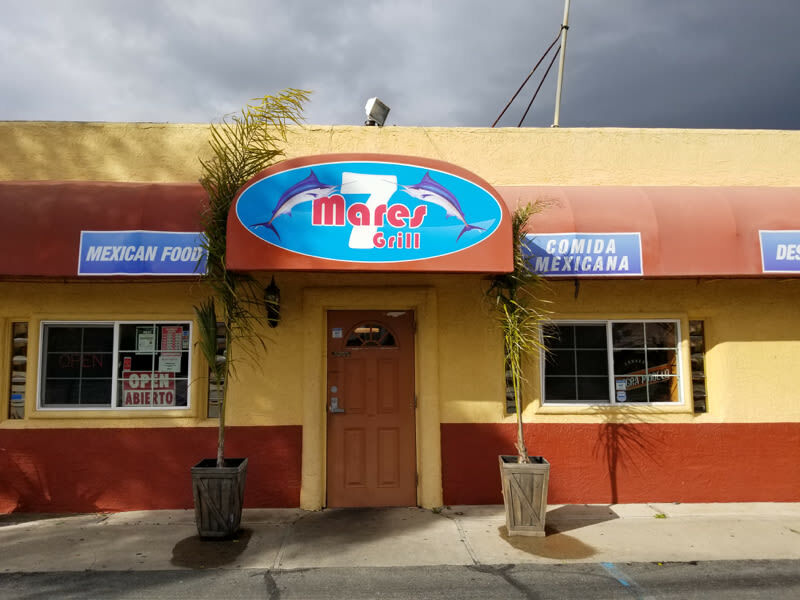 7 Mares Grill: Located in Oakley at 200 W. Cypress Rd., this Mexican restaurant tops my list with my all-time favorite tomatillo salsa. I recently discovered this place a year ago, and ever since, I pop in about once a week for a 24-oz. serving of this salsa. It's made fresh daily and I found out they've been in business at this location for the last five years. With mega-friendly staff, privacy booths, this place welcomes me with every visit! But back to their salsa … it's off the charts amazing! It does lean on the heat-side, so if you are sensitive to spicy, you might want to order their mild, red salsa. I never do, because I use their tomatillo salsa on almost every dish I make at home. It's that good and flavorful. And if you love salt like I do, then this salsa is a much better substitution. It's also cool to know that they are open 7 days a week! 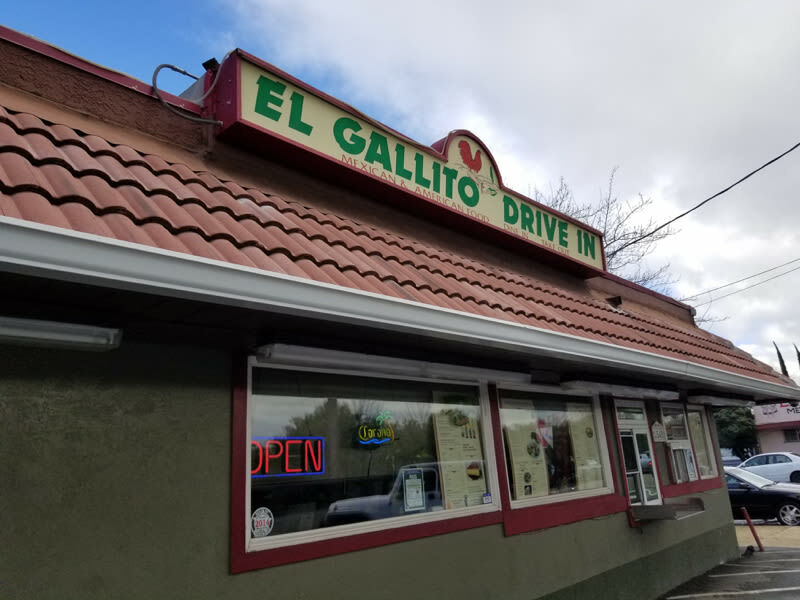 El Gallito Drive In Mexican Food: Located in Brentwood at 8540 Brentwood Blvd., did you know that El Gallito is family-owned and run and has been in business for 57 years? I was blown away when they told me this! They turn 57 in October this year. So let's get right to it – their red salsa is perfect for all palates. Not hot, just perfect, with chunks of green onions in it, one could literally dip a spoon in it and eat it like soup! I have friends who admit they actually do this, no joke. It is thin, soupy in texture, not thick and it truly adds another dimension to your enchiladas or taco salad. Of course it is also great for dipping your chips in, but I think it goes best on entrees. Little bit of hot-off-the-press news, El Gallito will be closing their dining room area, so it will be drive-in, counter/window service only - soon. Owned by Rafael and Maria T. Borrayo, they also cater authentic Mexican food. El Camino: Located in Brentwood at 6611 Brentwood Blvd., I've been going to this Mexican restaurant for over 30 years! And their green salsa, which also has chunks of green onions in it, has not changed in all these years! Another family-owned and run business, it's where I went on a first date with a guy. When I told him that salsa makes me quiet (from the heat) he slowly moved the salsa dish closer to me! Well, that was their red, hot salsa, but what I buy from them on a regular basis, is their Kermit-the-Frog green colored salsa! They don't call it Kermit-the-Frog, I do, because that's pretty much the best way to describe the color. The taste is so yummy and unique; it's why I've been buying it from them for years. You won't find this salsa in any other local restaurant, so I think it's one of their signature garnishments. And if I'm eating at the restaurant and order the salsa with my meal, they know to bring me the bigger bowl – they are the kind of restaurant owners who knows you by name, what you love to order – and how much of a certain item! La Pinata: Located in Pittsburg at 95 Bliss Ave., you can see this restaurant off Highway 4! I just found out that they've been open since 1984, but I've only begun going there on a regular basis this past year. 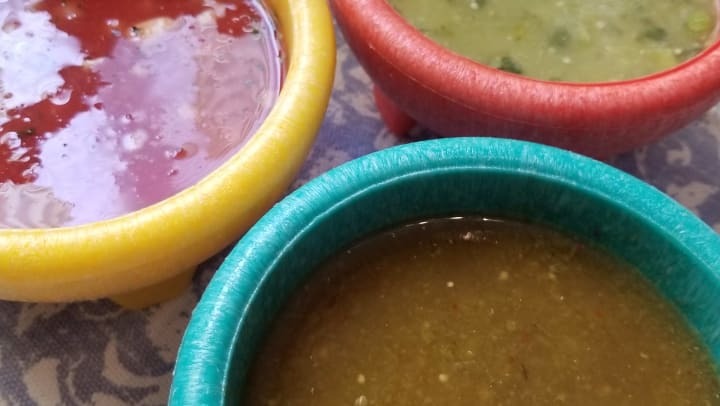 Their red salsa is on the same level as El Gallito's, it's tasty, and it goes great on top of so many dishes, they don't have to be Mexican entrées. The ambiance of this restaurant is festive and inviting, you feel like you might be in Mexico, so eating there or ordering your salsa-to-go, both makes for a fun and tasty experience. They are open for breakfast, lunch and dinner, 7 days a week. So whether you want to dip chips or drown your entrées … check out these local restaurants and you will become fast fans like me in making your mouth dance with flavor and your voice sing Ay caramba! On behalf of everyone at Cypress Self Storage, Oakley's newest self storage facility, we hope this blog post provides some fun spots to try out during your next self storage moving day. It's so critical to stay hydrated and nourished on your moving day.